Our material handling procedure is very well managed by a team of experts and thus we ensure zero damage of the stored products stocked in our capacious warehousing unit. 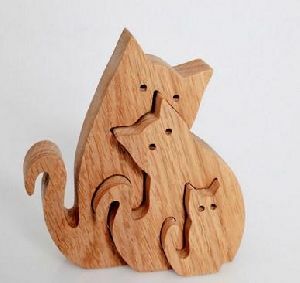 We are a leading name offering the best in class and qualitative array of Wooden Decorative Cats. 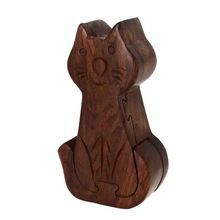 Our Wooden Decorative Cats have a protective polish on the surface for heat, chemical and dust resistance. We are offering a fine range of Wooden cats , hand crafted with fine Jali work & intricate carving, beautiful designs and appealing looks. To add long life and durability to this sculpture, it is carefully carved using optimum quality wood. Vinay Kumars Professional Coaching &..